Weekly Film Log: February 9-15 | Films Like Dreams, Etc. Another week come and gone. Thankfully I managed to watch a LOT of movies this time around. That also means that much more writing, so be a little patience and skip past any at your own convenience! With all its vibrancy and carefreeness, it’s fully apparent that The Girl Can’t Help It is still very, very much a film of its time. The narrative itself is quite thinly stretched-out, particularly serving as a backbone on which to place the musical performances, which are the true highlights of this work. In the era of American Bandstand, it must have been a real delight for audiences to see such brief instances of Little Richard, Eddie Cochran, Gene Vincent, et al. doing their thing on glimmering silver screen. The rest of the content this film has to offer, frankly, is rather forgettable. 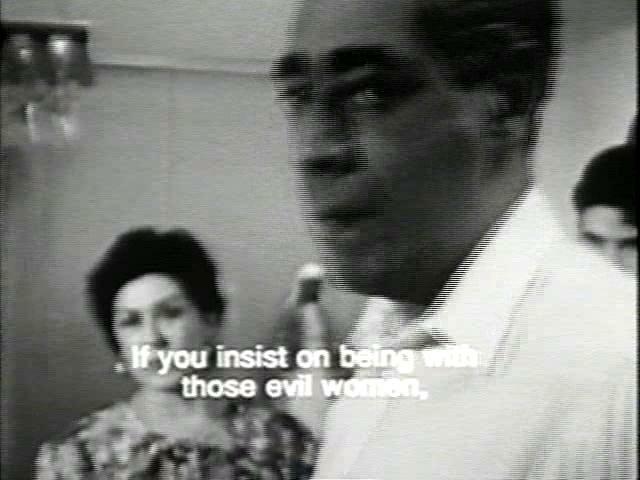 Well, besides the presence of Jayne Mansfield, whose tongue-in-cheek witticisms (and mind-boggling waistline!) offer some of the best moments of humor in the film. The story is rather forgettable, even a bit preposterous, but it’s not at all hard to see how such a film triumphed in its heyday. It’s surely a film of its era – but the music remains timeless. I’m sure with a bit more ambition, this could have been a much better film. Granted, it’s not a bad movie by any means. The young actors all play their parts down to a tee and its sci-fi narrative – one that unfolds and increases in emotional depth as it progresses – is certainly well-intentioned. Its biggest flaw, however, is how firmlySuper 8 places its feet in comfortable territory, relying on mere convention and formulaic narrative/character arcs to move itself along. Its painfully apparent that this is less of Abrams’ vision than it is of Spielberg, particularly in its unconvincing superficiality under the guise of a Spielbergian coming-of-age flick. While it is, for the most part, well-paced and quite entertaining, I don’t think I could muster up the will to watch it again. Mostly forgettable, but worth watching for Elle Fanning, who is, without a doubt, the most remarkable performance of the bunch. I’m so glad 2014 has started off rather well for me. As Cloudy With a Chance of Meatballs has quickly entered “all-time favorite” territory for me, I had grown quite excited for Lord & Miller’s next release. While I still certainly prefer the latter, The LEGO Movie, nonetheless, proved to be quite a generous heap of fun and cleverness. It somewhat mimicked Wreck-It Ralph in its fascination with multiple universes and a video game-like drive of conflict; this is something that I predict we’ll be seeing in future animation to come. The humorous bits were rather fresh and, for the most part, totally effective, combining in-your-face goofiness with subtle “blink and you’ll miss ’em” witticisms. While I know that it’s practically impossible for a film of such aesthetic depth to be made with real, physical LEGOs, the illusion of complexity within its art direction – especially in the fast-paced action scenes – made for a mind-blowing experience. Most importantly, I think, it went in different directions that I’d rarely seen in films aimed for children. While much of its humor and basic narrative tended to dwell within darker regions of pathos, it also possessed a fair share of surprising surreality and self-awareness. Somewhere within the final third, something happens that jars the audience far away from their comfort zone. The level of escapism that dominated the entire film is momentarily suspended, coming up with some truly phenomenal results. Also like Wreck-It Ralph, this film brings home the relevant message of individualism, the dangers of conformity, and the beauty of uniqueness among each and every one of us – and does so quite sensitively. Despite this being the only animated film from 2014 I’ve seen so far, it could possibly prove rather difficult for another to top this one. The extent of my familiarity with Victor Sjöström was with The Phantom Carriage, a spooky silent film that I legitimately loved. While He Who Gets Slapped didn’t have quite the amount of staying power, it is still a rather marvelous film. It is a bit unusual in the sense that its mood often shifts rather jarringly, from lighthearted circus farce to intense, often violent tragedy. Indeed the story itself outlines one man’s suffering amidst his experiences of unforeseen betrayal and spite at the hands of others. Even his fleeting moments of happiness are undercut by its inevitable downfall. Lon Chaney successfully presents our sympathetic character with the utmost humanity, emitting so many true-to-life emotions. We could practically see his pain embedded in his facial expressions. 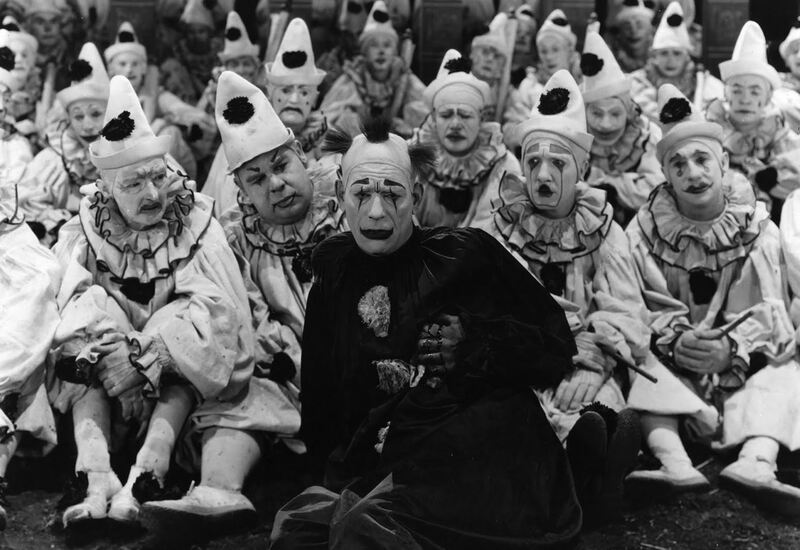 As opposed to slapstick tradition, where we’re urged to find humor in the cartoonish pain of others, The Main Who Laughs is anything but humorous – despite the enticing, surrealistic clown imagery. I need to watch much more from Sjöström. It’s been nearly a year since I watched Werckmeister Harmonies, and judging by how much I loved it and how it affected me on a deep, emotional level, I’m certain that Tarr could potentially become a favorite. 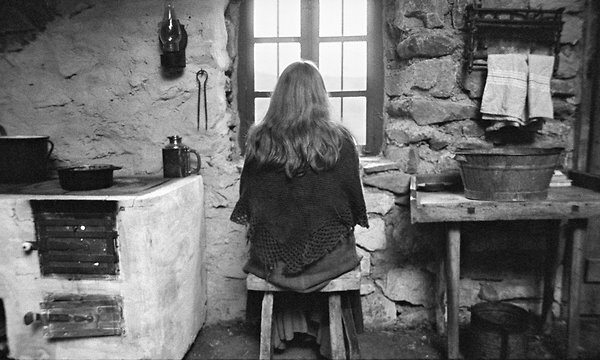 While I don’t have nearly the time to watchSatantango just yet, 2011’s The Turin Horse posed as my next option. While it certainly is quite languidly paced and strangely hypnotizing, the vision here felt slightly more ambivalent and muddled for me to immediately discern much from it. Nonetheless, the viewing experience is quite worthwhile. Tarr’s traditionally black-and-white, flat cinematography really makes its mark here once again, and it certainly seems that every single shot is beautifully framed. It is certainly tedious, and following the monotonous day-to-day lives of these people at such a slow-pace certainly is jarring. But it also made me pay attention to the slight deviations from routine, and what meaning could lie behind the slightest of gestures and expressions (a similar experience as I had with Jeanne Dielman a few weeks earlier). Overall, the craft of this film is of the purest excellence, but perhaps I need to ponder on this one for a while to adequately decipher just what it all means. As of now, this is my favorite interpretation of the film. I watched this film during my Latina/o Cinema class as we were also observing the praises and criticisms of the Puerto Rican image in West Side Story. This is nonetheless quite a different sort of film. While it stays true to a conventional thread of fictional narrative – one of a young immigrant’s struggle to reclaim her multi-faceted identity – it also takes a sort of experimental documentary approach in capturing the voices of other Puerto Rican individual in their fight for agency. It’s hard for me to be extremely critical of it, since it’s apparent that Negrón has placed her heart into the making of this project, despite its shortcomings and messiness. The main narrative, inevitably, is quite less interesting than the real-life interviews of the other women featured in the film. Some are struggling with language, others with family life, others with their sexuality. On a technical level, it does suffer from some pacing issues, but I’m really glad I watched it nonetheless. It does a great job at capturing some of the more otherwise marginalized voices of a community, something that we sure as hell don’t see too often in most mainstream cinema. Ugh. I absolutely HATE romantic comedies like Runaway Bride, the kind that treat marriage as the only positive outcome to resolving relationship conflict. Not that I’m opposed to marriage in film, but in this one, the problem is that Julia Roberts’ character won’t get married which, in real life, would be hardly as much of an issue. I cringed sooo hard during one of the last scenes when, as she ran from the altar, the people in the church locked the doors and tried their hardest to hold her back. Really? Also, the fact that Richard Gere’s character was trying to manipulate her from the start kind of eliminates any chance for a relationship anyway, don’t it? And after they finally fall in love, we still have an entire final third to slog through to reach an utterly predictable, snore-inducing ending. Not a very fun movie at all. On the plus side, this movie made me realize just how similar Roberts is to Audrey Hepburn, with equal amounts of beauty, a slightly less amount of charm, and twice the number of teeth. After being amazed by his Best Picture winner Ordinary People, I decided to make an effort to check out more of Robert Redford’s work; primarily, Quiz Show, which I’ve always heard was one of his best. Outside of its basic premise, I really didn’t know what to expect, and thus was pleasant surprised to find out how truly remarkable this is. Although scandals over fixed game shows may seem like a drop in the bucket this day and age, I could imagine it would play out very differently in the 50s. While the film does work in a natural, forward-moving linear progression of time, as it does so it also works to tease out the complexities of our characters bringing in new and different angles of conflict that stresses the issue to near-strangulation. It’s less of a retelling of a real life moment in history, and more of a morality tale, how deception and greed can begin to dismantle this fantasy tale, one in which its rise and fall was witnessed by audiences across the country. Much kudos goes towards Ralph Fiennes, Rob Morrow, and John Tutturo, who play their roles in really remarkable, fleshed-out ways, transforming them into human beings with complexities and contradictions. There’s no clear indicator of who you’re supposed to root for in a story like this – and frankly, that’s exactly the way I like my historical dramas. For some very peculiar reason, 1969-1970 are years in cinema that don’t particularly gel with me on any profound level. Neither Easy Rider nor Five Easy Pieces really sat well with me, and while Nichols’ adaptation of Catch-22 is relatively less acclaimed than the former, it’s still among those artistic, leftist sort of flicks that left me rather cold. There were some rather interesting things implemented here – e.g. erratic sound design, floating narratives, cool cinematography – and there were even some funny parts every now and again, but as a whole, it felt me feeling rather cold. I enjoyed when the film let itself be surreal and a little bit chaotic, not tying itself down to a conventional storyline – but once that storyline does kick in, the rest of the film becomes sluggish and quite a pain to sit through. If anything, it’s definitely got me that much more interested in reading the Heller novel. I feel like certain texts that are intended to be really radical and unrelenting in its critique often have its blows softened when adapted into the filmic format; for this one, it’s the polished conventionality that sets it back, when I think it could benefit from an adaptation that is much darker and grittier, while still keeping its humorous edge. Once again, the following eleven films were watching during my Friday morning History of Animation class. Watched on Feb. 14, in the Little Coppola Theater at SFSU. This week’s theme: origins of Disney animation (with a brief introduction of more modern shorts). After being completely charmed by 2012’s The Gruffalo’s Child (still haven’t seen the first of the two), I was pleased to see that last year’s Room on the Broom is up for an Oscar nomination. Much like Gruffalo, the computer animation here is absolutely lovely, carrying a certain amount of charm with its aesthetic and avoiding the easy trap of falling into artificiality. The characters are fun and delightful, perfectly portrayed in accordance to the film’s storybook origins. And indeed, the use of rhyme-along narration completely works hand-in-hand with the fablelike tone that the narrative and settings emit. The actors do quite a decent job with their voice performances, although I definitely do think that some of the bigger names (Sally Hawkins, specifically) were robbed of the opportunity to fully demonstrate their talents. Moreover, while I have no problem with the sheer predictability of its story – it highlights its moral backbone pretty well and adds depth to its fairy tale atmosphere – the final resolution may have been a bit too heavy-handed, especially considering how subtle and lovely the rest of the film was. Nonetheless, while I’m almost completely positive this won’t be winning its Oscar (Disney trumps all), it’s quite a beautiful, well-crafted piece of work. Newman Laugh-O-Grams are a series of minute-long pastiches where Disney is shown sketching out a single frame presenting some sort of image or action. In my class, we watched four of these. For the most part, they’re pretty uneventful, although Spring Clean-up has the additional appeal of including frames that are actually animated and, moreover, resulting in a little bit of humor. Altogether, these aren’t particularly exciting watches, but it is fascinating to see where the beginnings of Disney’s animation occur. Watch all four here! I don’t know if it’s because I’ve overspent my enjoyability with this short or if I’ve simply found much better Mickey Mouse cartoons, but this particular viewing of Steamboat Willie gave me slightly less enjoyment than others. One new thing I did notice, however, was that this film is practically definitive of Pre-Code animation. The image of Mickey in these earlier cartoons portrayed him as a rather rambunctious fellow, who uses and abuses every cow, pig, and parrot he comes across. But boy, are the results fun. While I’m aware this isn’t the very first animated film with sound (as it’s often incorrectly cited), I could just imagine how fun it would’ve been for audiences of 1928, who witnessed for the first time just how wide of a range voices, music, and sound effect could be applied in such pleasing ways. Nonetheless, this was the film that set the stage for more rebellious, funny, entertaining Mickey cartoons to come, and it should be seen by all interested in the field of animation. Watch it here! This film is, well, pretty unique. 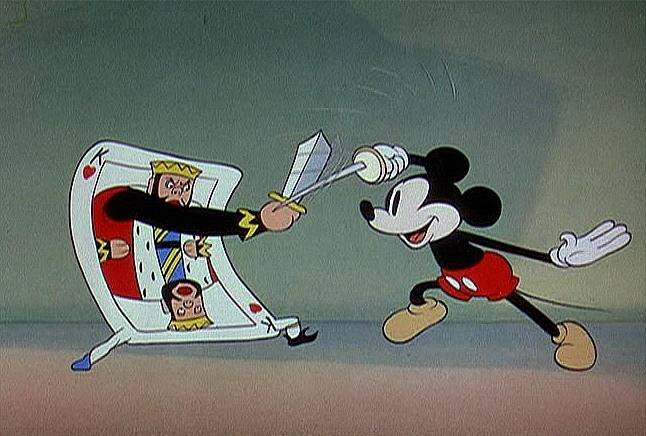 Sure Chuck Jones and Tex Avery came along later and perfected the art of incorporating real-life pop culture icons in their cartoons, but I’ve never known of one from so early on, prior to watching Mickey’s Gala Premier. I was so delighted to see caricatures of some of my favorite classic comedians – Laurel & Hardy, Chaplin, Keaton, Lloyd. The satirical depiction of Will Hays made me giggle, as did Garbo’s appearance at the end (though I didn’t particularly care for the aggressively big-nosed Jimmy Durante). Besides this, I didn’t particularly care for the film-within-a-film (had this been done in a cartoon before this one? ), though I suppose that wasn’t exactly the point. Nonetheless, I found the actual narrative of the short rather sparse and empty, not doing much with the array of characters we are given. Still, it’s rather entertaining to see these familiar faces within a Mickey cartoon, if only superficially. I got so much more out of The Band Concert out of this particular rewatch. It’s got such a fun exciting narrative – of the titular concert being repeatedly ruined by the interfering Donald Duck and then a huge storm – it’s frankly rather impossible not to have fun with it. Though the moments with Donald tend to drag on a bit, this is a great first appearance, at it characterizes him with a sense of charming, Chaplin-esque trickery. The musical puns and witticisms are laugh-out-loud hilarious; the thought of mashing up the “William Tell Overture” with “Turkey in the Straw” is absolutely absurd! Yet works magnificently. And let’s not forget the storm sequence, where all chaos lets loose and where the action literally rises and falls with the music – as if nature itself is the ultimate conductor. But besides all this, it’s got some wonderful characters, funny moments, and some rather beautiful color imagery. Definitely some of the best that classic Disney animation has to offer. Watch it here! Lonesome Ghosts exemplifies the later stages of Disney animation where the story is much tighter, less gag-based and more driven by an actual conflict. The conflict here is of Mickey, Donald, and Goofy – playing the roles of ghost hunters – being subject to unrelenting trickery from a team of four mobster ghosts. It’s fun, fast-paced, and gave me a good giggle or two. The sharp detail given with the backdrops and settings really show just how far along the animation team has progressed. Even the special effects given in making the ghosts seem transparent are done wonderfully. Although I mentioned that it’s less gag-based than previous shorts, that’s not to say that there isn’t a fair amount of slapstick humor going on here. Thankfully, however, it’s presented in sleekly cartoonish ways that don’t undermine its craft and make for a substantially humorous ‘toon in quite a number of ways. On that note, its absurd twist ending totally takes the cake! Watch it here! Thru the Mirror can be seen as a sort of precursor to Disney’s future animated adaptation of Alice in Wonderland, from the Lewis Carroll storybook. While sleeping, Mickey’s dream self enters into an alternate universe from the other side of his mirror, where inanimate objects possess lives of their own. It’s quite fun and wacky at points, although admittedly repetitive in others. Still, this is an example of a cartoon that successfully portrays Mickey as a sort of everyman character, one who could seamlessly fill the shoes of practically any heroic, protagonistic role. Indeed his personality really shines in this one, particularly in the “skip it!” scene, which gave me a good laugh. Regardless of it’s benefactors, though, it does possess the all-too-predictable dream narrative that does tend to hinder the level of suspense, particularly at its climax. Regardless, it’s yet another fun, funny Mickey cartoon with vibrancy and color embodied in its imagery as well as its character. Watch it here! Ahh, it’s always such a delight to revisit old favorites. As with every other viewing experience of The Skeleton Dance – and my goodness, it must be in the dozens by now – this one is absolutely pleasing to the eyes, ears, and brain. Somehow from as early as 1929(! ), Disney’s team of animators conjured up this dark cartoon with a truly macabre sensibility, as well as a kooky sense of humor. 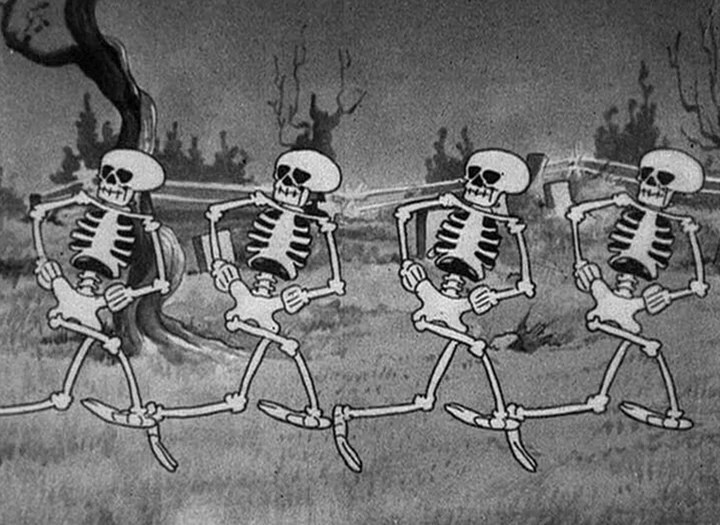 As the first entry of the Silly Symphonies series, it certainly balances this sense of silliness with a genuine artistic flair, seen in the illustrations of the graveyard, as well as the surrealistic animation of the titular skeletons. Sure, it’s repetitive and probably dated by today’s standards of art and humor. But as film that works the duel role of a mood piece and a brief sliver of nonsensical narrative, it’s absolutely terrific. As strange as it sounds, the repetitious dancing of these characters are rather hypnotizing and compelling in the most inexplicable ways. In other words, the film possesses the ability to transport the viewer into an alternate universe, one where skeletons stretch like funhouse mirror images, as well as play music using parts of their detached limbs. If that doesn’t sound like a good time, frankly I don’t care to know what does. Watch it here! I’ve read of Three Little Pigs being analyzed as an allegory for the Great Depression, explaining its immense popularity and Oscar win. Besides this entirely plausible interpretation, I simply find this film to be an all-around fun viewing experience. What makes this cartoon notable for its time in how, despite how Practical Pig – with the exception of his overalls – looks almost identical to the other two, yet possesses a logical, hard-working personality that is undoubtably his own. I’m sure this must have opened windows of opportunity for future characterization of similar-looking figures (after all, Minnie at this point was little more than a female Mickey). But back to the film itself. While anyone familiar with the tale knows exactly how it pans out, simply watching these quirky figures contribute to the demise of the sinister wolf is worthwhile through such merits alone (though yes, the possibly anti-Semitic image is problematic). Combined with the vibrant colors, singable “who’s afraid” anthem, and the hilariously morbid Mom and Dad picture frames for astute viewers’ pleasure, it’s no wonder how this has become a bonafide cultural classic. Watch it here! The premise of The Old Mill is not exactly one to draw in curious, oblivious viewers. We see the average, everyday existence of a collection of small birds, rodents, and frogs inhabiting around the referenced mill. Suddenly, all are pulled out of their comfort zone when a storm threatens to destroy the habitat; after this scary climax, all returns back to normal. What is interesting about this film, however, is its introduction of the multiplane camera, which captures multiple frames of action in breathtaking depth and detail. This is certainly a mood piece, but one in the very best sense of the phrase. The use of color, sound effects, light, and shadows give the piece a sense of heightened realism and a bit of a creepy, foreboding atmosphere; its complexity risen around the storm climax. 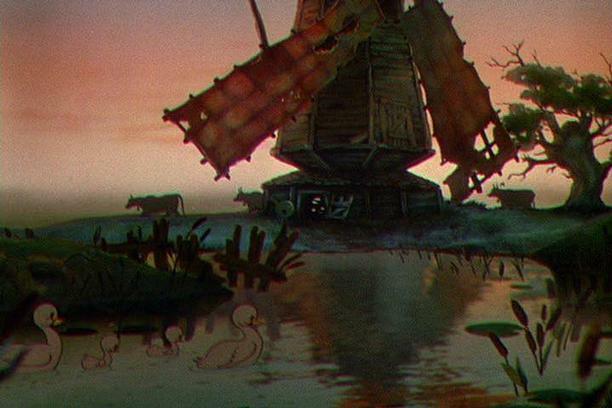 While I’ll be willing to state that the “running through the forest” sequence in Snow White and the Seven Dwarfs is one of the most frightening moments put in animation, I’m well-aware that it would not have existed (or probably not been as sharp) without The Old Mill. It’s a beautiful short film and well-deserving of its universal praise. Watch it here! I’m really surprised that I enjoyed Saturday Night Fever as much as I did. Well, I suppose “enjoy” wouldn’t be the right word. It took me completely off guard over how dark and unrelenting it is. While I began the film initially detesting the characters and everything about them, over time it became apparent that viewers are intended to be critical of the rough, aimless paths they had chosen for themselves (or had chosen them?). While I don’t think John Travolta is a great actor by any means, he does as well of a job here as he ever had, portraying his confused protagonist dark, realistic, almost Bickle-like ways. While the soundtrack is enjoyable, the most surprising thing was the way some tracks seemed to compliment certain scenes in perfectly unsexy ways. Regardless of these rewarding aspects, it’s not a easy film to sit through and watching the characters repeatedly expel misogynous slurs and act like buffoons got a bit tiresome after a while. How this film managed to work as a harrowing character drama, while also successfully marketing itself off as a superficial film and disco and dancing – I can’t possibly fathom. This my mom’s favorite movie, so of course I needed to watch it. In its essence, however, Peggy Sue Got Married little more than a dispensable, formulaic 80s romantic comedy. As a protagonist, Kathleen Turner could have been a little sharper in delivery but for what the film is, I can’t demand too much. Nicolas Cage, as always, is the highlight – though I had to really struggle to get past his ridiculous hair and weirdly nasally voice. Jim Carrey has an early minor role here, and acts in exactly the way one would expect him to. Altogether, it’s very predictable. Even in moments where it looks like it could potentially take an interesting direction, it remains within the safe zone and pans out in unsurprising ways. The final third is where most of my complaints lie, where it seems like they were just throwing obscure narrative points in order to make it interesting; instead, it felt sloppy and the work as a whole doesn’t tie itself up very well. Nevertheless, it’s a flouncy, sweet sort of film, although one that doesn’t require much thinking to get anything out of. I never thought that this would happen, but I’ve finally found a Hitchcock film that I dislike. Marnie starts off compelling enough, but after a concentrated series of fumbles and unconvincing plot points, it becomes a more and more tiresome watch by the minute. Tippi Hedren is usually such a good actress, but her performance here was disappointingly hammy and ridiculous. While Sean Connery puts on a decent performance, it is diluted by multiple instances of the truly awful dialogue that permeates the film. A deeper exploration of these two characters could have been quite interesting – as it’s apparent that they are both deeply flawed – but Hitchcock instead decides to go for a more narrative-based approach, which would have been fine if the psychological facets of the tale were more convincing. Unfortunately, they aren’t. Instead we get a bunch of half-baked facets of a worthwhile character study, wrapped up in a story that wasn’t all that interesting in the first place. It’s far from being a terrible film, but also far from being a good one – and for Hitchcock, I think that’s particularly disappointing. This entry was posted in Reviews and tagged 1920's, 1930's, 1950's, 1960's, 1970's, 1980's, 1990's, 2010's, Alfred Hitchcock, animation, Bela Tarr, Brincando El Charco, British, Burt Gillett, Canadian, Catch-22, Chris Miller, David Hand, Disney, documentary, Frances Negron-Muntaner, Francis Ford Coppola, Frank Tashlin, Gerry Marshall, Gloria Victoria, He Who Gets Slapped, Hungarian, J.J. Abrams, John Badham, Lonesome Ghosts, Marnie, Max Lang, Mickey's Gala Premiere, Mike Nichols, musical, Newman Laugh-O-Grams, Peggy Sue Got Married, Phil Lord, Quiz Show, Robert Redford, Room on the Broom, Runaway Bride, Saturday Night Fever, sci-fi, short, silent, Steamboat Willie, Super 8, The Band Concert, The Girl Can't Help It, The LEGO Movie, The Old Mill, The Skeleton Dance, The Turn Horse, Theodore Ushev, Three Little Pigs, Thru the Mirror, Ub Iwerks, Victor Sjostrom, Walt Disney, Wilfred Jackson. Bookmark the permalink. Believe it or not, thanks to Disney, Newman’s Laugh-O-Grams (the earliest film(s) in this review) is not currently slated to escape copyright in the United States until 12/31/2016 (Don’t ask!). Woah, really?!? That’s a bit odd. Thanks to Disney, indeed. haha.